We are experts at fixing all Macs. Stop in for an affordable, speedy reliable Mac repair service in the Dayton area. You may bring your Apple device to our Kettering computer repair shop for a free inspection and quick turn-around. If you prefer to have a DNA Computers Mac repair technician come to you, contact us to schedule IT service, as early as same-day. I need help! Which would you choose: “Take a number” or “walk in anytime”? Which do you prefer? If you have a Mac issue, Apple asks you to reserve a time in advance. At DNA Computers, you may drop in at your convenience. Time is of the essence and we get that. Your Mac needs help and we want to fix it right away for you. I just spilled water on my MacBook Air. Can you help? Whether you spilled tea, coffee, wine, water, or any other liquid on your macbook, DNA Computers can help you! DNA Computers routinely performs Mac spill clean repairs and is able to save you hundreds of dollars by directly removing the spill damage. Further, data recovery is one of our specialties if your Mac looks far gone. My iMac needs a repair? Can you come to my home or office? Apple doesn’t make house calls. DNA Computers has a team that will be able to assist you as early as the same day. You’ll receive a qualified technician who will take care of all your Apple repair needs. The Apple store does not work on “older” Macs. Also, it does not perform basic upgrades, such as RAM upgrades and hard drive upgrades. Why? They’re product-focused and want you to buy the newest MacBook. 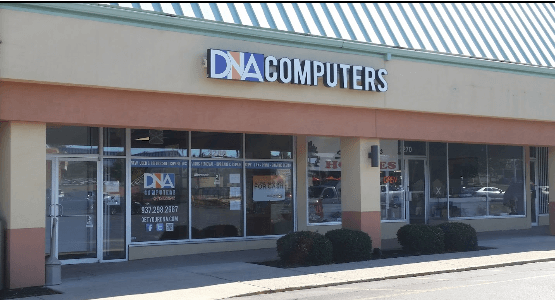 At DNA Computers, we are service-focused and will do everything in our power to repair, upgrade, and save your precious MacBook. Yes, we actually care! My Mac is only 6 years old but Apple won’t repair it because it is a “vintage” product that is too old to fix. This one really gets us upset! You mean Apple manufactured a product that you paid a ton for, and they refuse to support it any longer?! Just awful! We gladly accept all vintage, antiques, and the most seriously challenged Mac that you need to have repaired. We certainly do not discriminate, welcoming all models, years, and Mac issues!